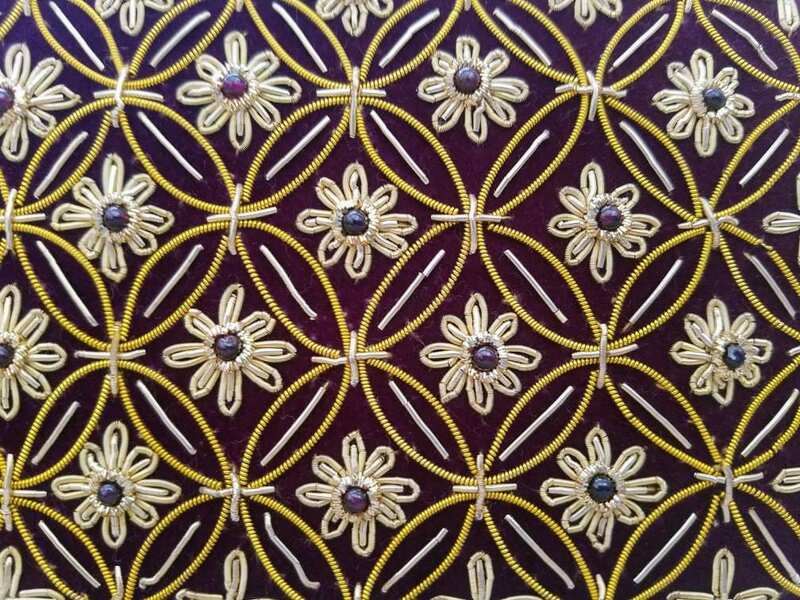 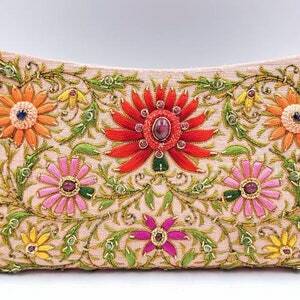 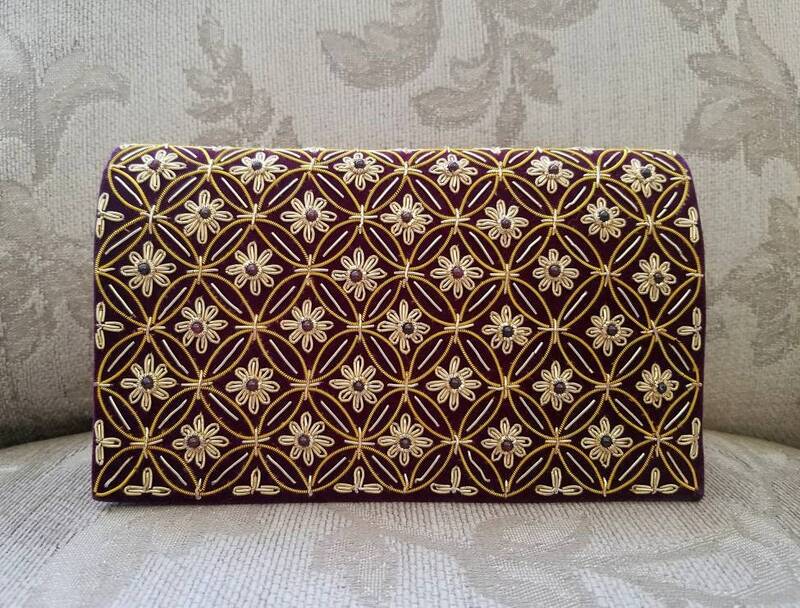 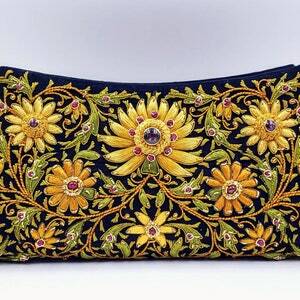 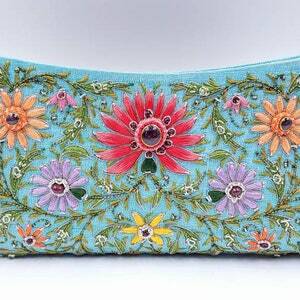 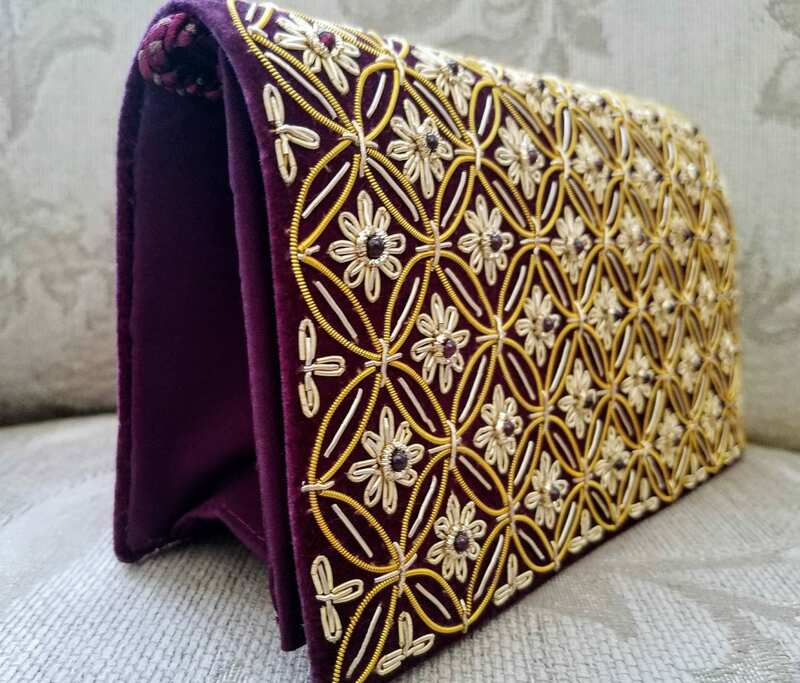 Hand embroidered evening bag on burgundy/eggplant velvet, using metallic gold colored threads, in the Zardozi tradition. 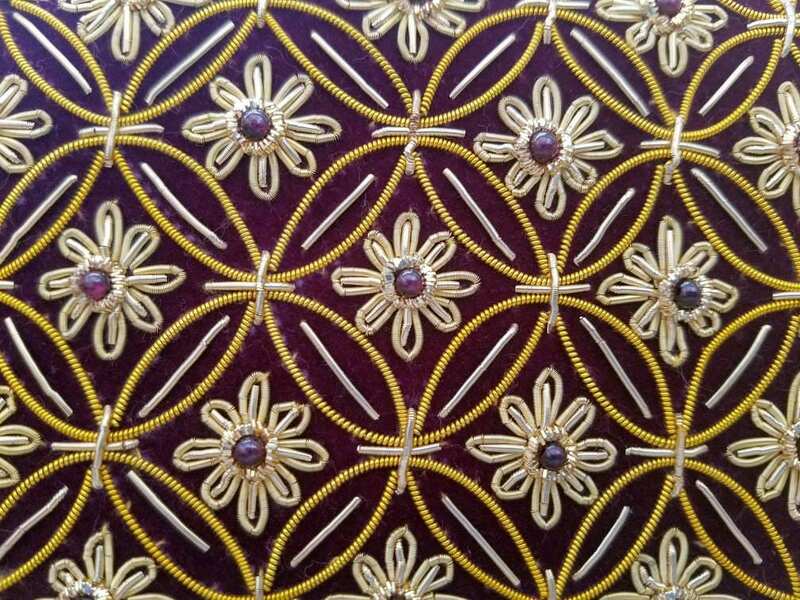 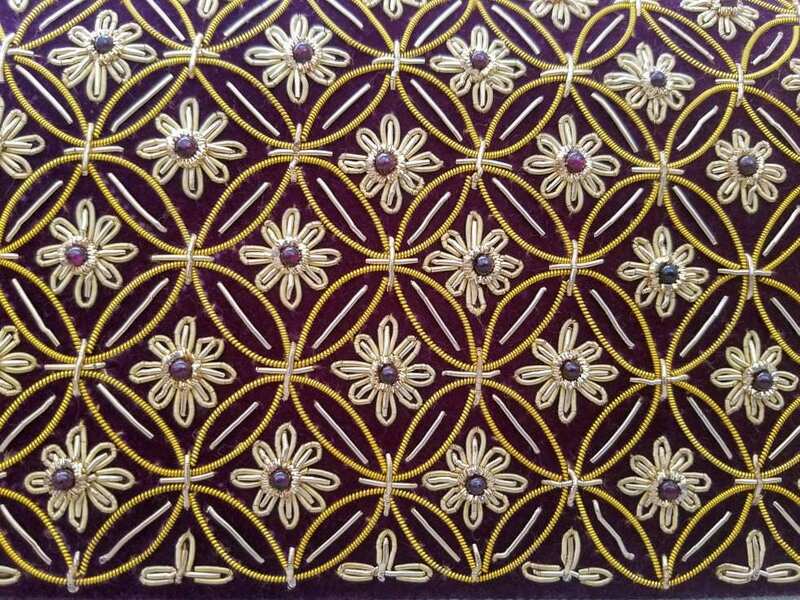 Genuine garnet stones sewn into center of each flower, creating a 3D effect. 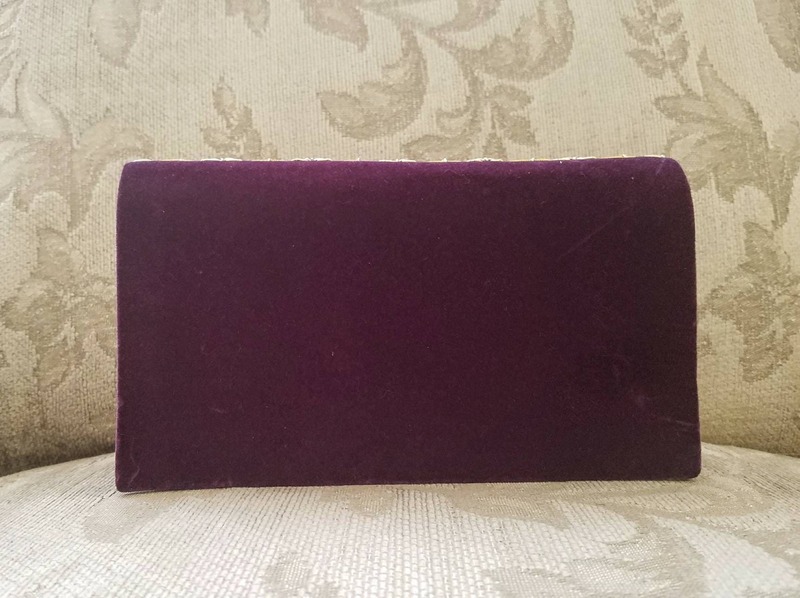 The velvet is a short nap, almost looking like suede, so it can be worn all year round, even in the summer! 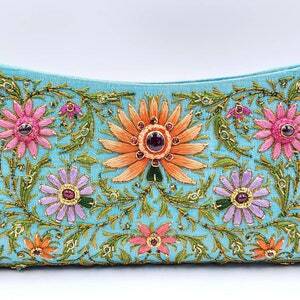 Perfect for a summer wedding or garden party! 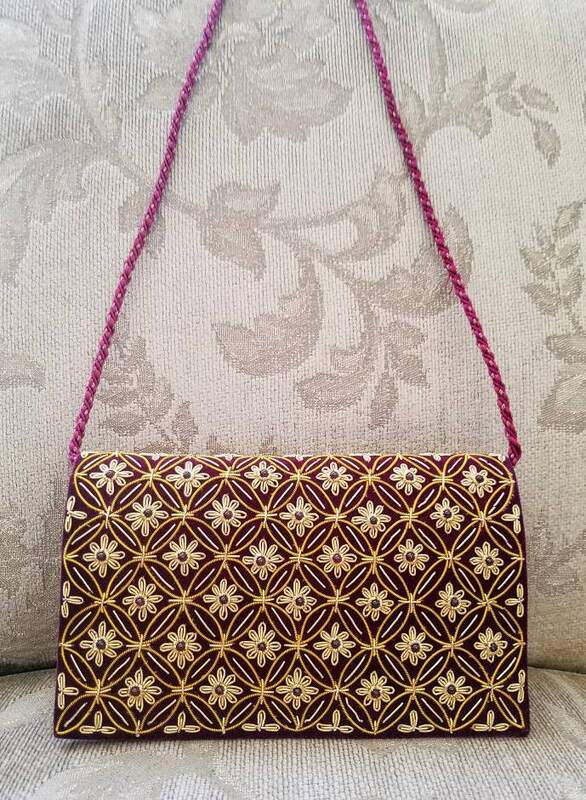 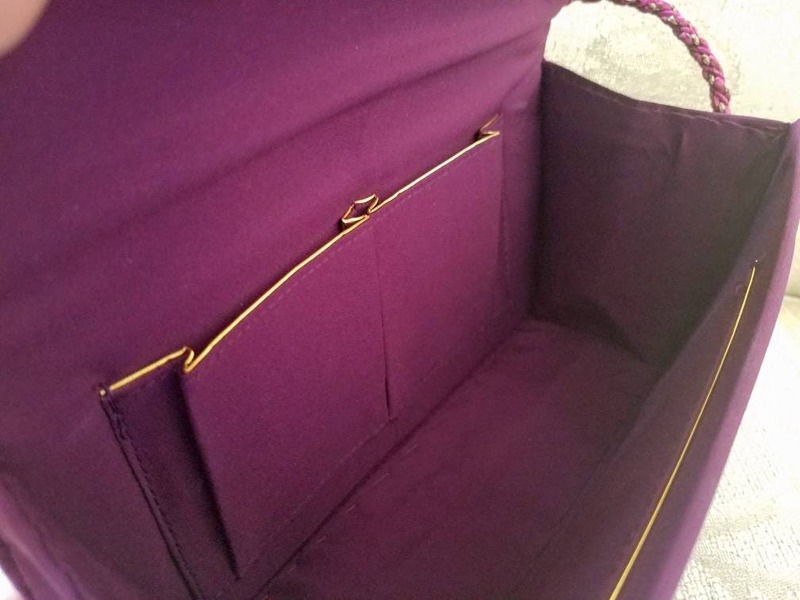 - Measures 5.5 " H x 8 " W x 2.5 " D.
- braided lighter purple and gold colored corded shoulder strap with 28 in drop, which can be tucked inside.